This project was created on 03/08/2018 and last updated a month ago. Maker UNO is designed for education, for teacher to teach electronics and coding in more effective methods. We love the original Arduino UNO R3 from Arduino.cc, and we do carry this board. Yet, from the feedback we gathered (teachers that teaches STEM), there are needs to have a new Arduino compatible board. Maker-UNO is designed based on these feedback, hopefully it helps the educators and students all around the world! We have been using Arduino UNO R3 for training, projects and also retails :) We love it. But when it comes to training, there are always something missing and lacking. Why is there no LED indicator for this digital pin? Why not all digital pins? Why must we connect LED manually? Can&apos;t you design-in button as digital input so we can program it directly? Why I need to do manual wiring for all the important and fundamental input and output? The buzzer/audio output is so useful, why Arduino does not come with pre-build buzzer? Why use USB B type that is rarely being used (only on USB printer). Can we utilize the USB MicroB cable which is commonly being used on power bank charger, and most of the Android phone? From here, we decided to re-designe and produce an Arduino UNO compatible board that is suitable for students and beginners. An Arduino UNO which is better choice for education. It must be affordable for students. You might think USD 22.00 is affordable, but for some parts of the world, this figure is still considered a privilege, a luxury. It must be lower than USD10.00. It must be fully compatible in term of using Arduino IDE, Arduino UNO R3&apos;s library and example code. This is the most important spec because Arduino.cc have done an amazing work in making the Arduino IDE to work seamlessly on every platform and there are millions of example codes for Arduino UNO R3. Friendly enough for teachers and students (that does not have electronics background and fundamentals) to learn microcontroller, coding and electronics. Build in the features which is important, even it is basic. We are familiar with Arduino UNO R3 as we have designed CT-UNO before. But the objective is not to design and produce another low cost Arduino UNO, it is to solve the problems of teacher and student. They wanted to teach electronics, coding and microcontroller; and millions of students wanted to learn this amazing platform. Is an essential tool for makers. Before we can start the development, there are a few features and spec that need to be finalized. So here is it. Which MCU? The Atmega328P or 328PB or even Atmega32U4? Atmega328PB is not fully compatible with Atmega328P which is used on Arduino UNO R3. The hardware (Pin assignment, flash, memory, operating voltage, etc) is compatible, but the registers are not. Therefore, the sample codes of Arduino UNO R3 are not compatible. Bootloader is not fully compatible too, there are some tweaking needed. Arduino IDE does not fully recognize Atmega328PB as Arduino/Genuino UNO, therefore, you cannot simply modify the library to carter for the register changes and click the upload icon on Arduino IDE. 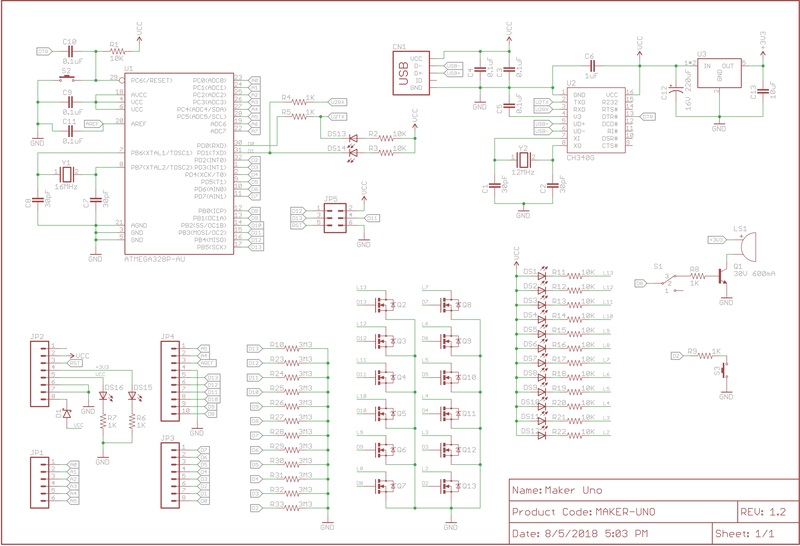 The sketch can be compiled successfully, but Arduino IDE will fail to download the code into Arduino board with Atmega328PB. Projects that are related to Arduino are useful for students. Students who do projects such as robots, such as mini-ATMs for which they use Arduino, need to write descriptions for projects. Students can buy a description for projects from the research paper writing service Paperial and present their project with an excellent description that will make viewers believe that the project is even better than it really is! 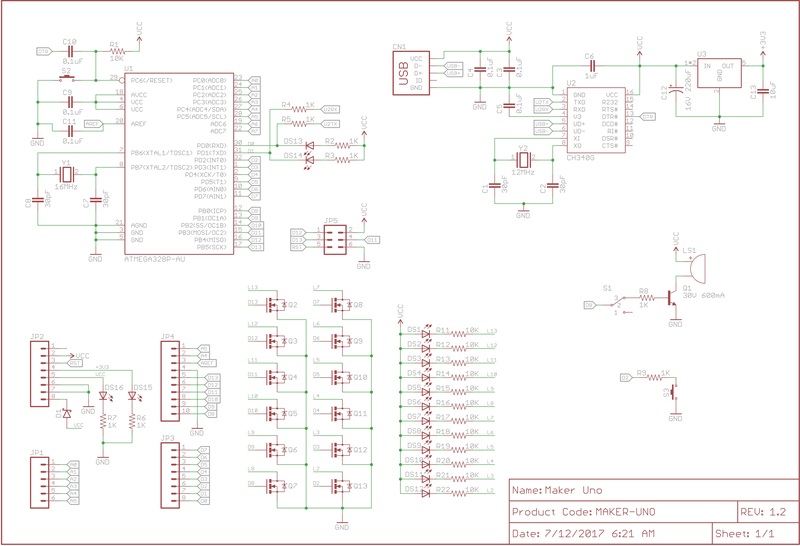 This boost driver powers an Arduino and an MPU6050 IMU to turn on some RGB LEDs and a beeper when unleveled, from 1xAAA or 2xAAA. You are about to report the project "Arduino UNO for Education", please tell us the reason.